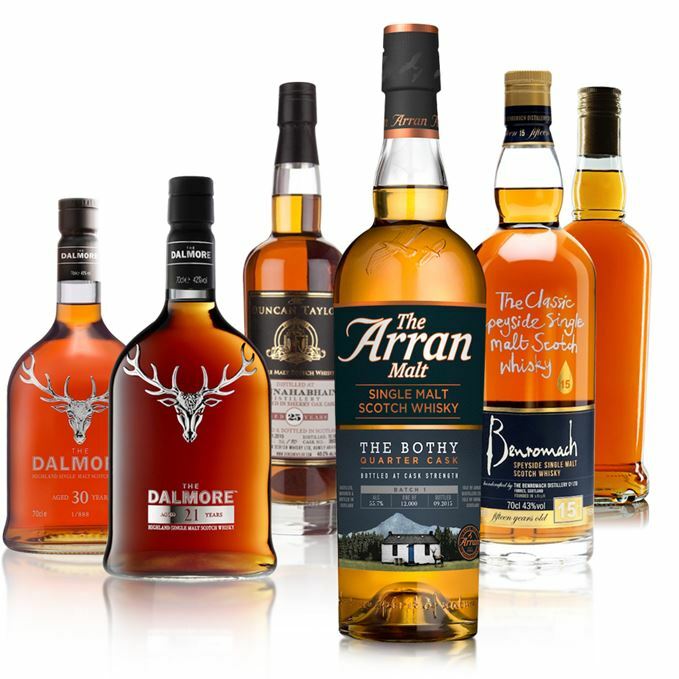 On Dave Broom’s tasting radar this week: an aged Dalmore duo, a brace of indie Bunnahabhains, plus a new addition to the Benromach line-up and the latest Arran limited edition. 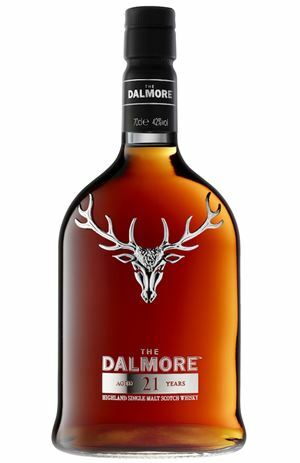 Quite malty for Dalmore, and that cereal thing carries all the way through, alongside huge, thick, Sherried elements: old bodegas, ripe black fruits, a whiff of blue cheese and then overtly Sherry-driven (rather than cask-driven) elements: raisin, walnut, rich chocolate – and then the malt returns. Thick, with some latte coffee. Quite fat (this is Dalmore, after all). The tannins are there, but subtle. A note of baked vanilla is mixed in with those super-ripe black and dried fruits. Water makes it quite dry, but the hedonistic mid-palate carries on. 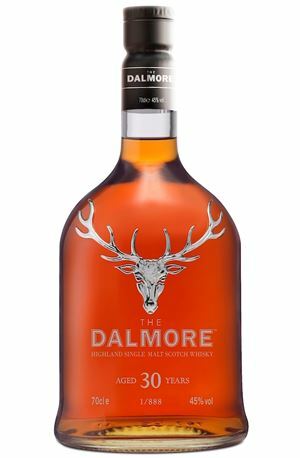 A (relatively) limited edition aimed at existing Dalmore fans. Richer, but also more structured than the 21-year-old, showing a stewing cherry note, then blackberry and apple pie, rhubarb crumble, then chocolate ganache on top of light nuttiness. Heavy and scented, with some bitter orange and a tiny peach note in the background. Big, with supple tannins and very ripe fruits, but it still has distillery character, which just shows how massive that base spirit is. A lovely bittersweet element emerges, linking Seville orange, blueberry syrup and raisin. Menthol, currant leaf and raisin. This isn’t a glossy Dalmore, but one with structure and depth. Even the price doesn’t seem outrageous in these days (or am I just getting inured to it?). Overdosing in the 'Great British Bake-Off' kitchen. Lovely, open nose with light raisin, woodsmoke, malt loaf, raisin bread. In time, a lovely sweet cereal lift akin to wet draff note, then oven-warm Dundee cake. Big and quite oily/chewy. Hints of cigar box, light Sherry. Deep in the middle, but clean and zesty towards the back. Water brings out citrus. Clean with a pleasing bite. Well-balanced, old-style Speyside dram. A hugely welcome addition to the range. Recommended. Returning to the farm kitchen at harvest time. 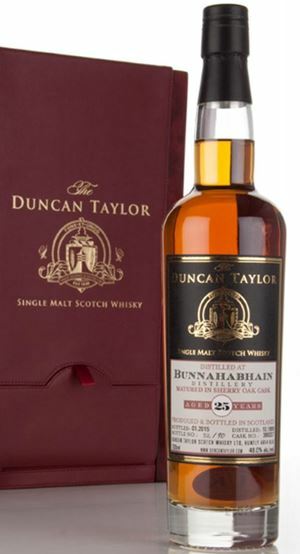 A smoky and slightly lean Bunna’ with a light plume of cigarette smoke and mineral elements, then hints of hidden depth and some of the signature ginger – powdered in this instance. Opens with water, which brings out bonfire ashes, mash and Neoprene. Sweet and really bright start. The mineral/briny note is the main character when neat, so do add water to give a bit more silkiness, some cereal and the light smoke. The smoke might be less obvious than in some OBs, but the overall effect is a better balanced dram than many of them. A little more on the nose would help, but this is a wee cracker. A bracing dip into the Sound of Islay. Quite sensational nose, aromatic and complex with a little touch of rose petal, hints of apple, dried mango, beeswax, nutmeg and sourdough crust. Everything you want from a mature whisky. Much more mulled apple juice as it opens. Becomes sweeter with water. Sadly, the palate is a let-down with too much dry oak taking charge. Even water fails to shift its grip. Worth buying a dram just to sniff it. Hansel & Gretel’s realisation that they’ve been tricked. Clean, sweet and intense (which you’d expect, given the strength), but also sweet and well-balanced (which you’d hope for). Fresh, with candied lemon peel, light cereal and yellow banana skin. It does scream out for water, which brings out a note of Fox’s Party Rings (orange icing) without losing any of that intensity. Quite estery when neat – pineapple and banana to the fore, with hints of the boost given by quarter cask, alongside a gently smoothing creaminess. When reduced, has real depth while – and here’s what elevates it – the more volatile elements are released to play around it. In other words, it has complexity. Now you get more strawberry, orange chews, bluebell and a little oak. The latest in Arran’s Limited Edition series that’s been aged in refill, then finished in American oak quarter casks. It’s a cracker. Snap it up. Afternoon tea round at Doris Day’s. 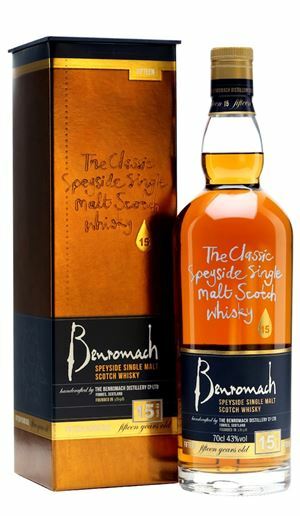 Batch 15 06/11/2015 Malts from Ardmore and Laphroaig rub shoulders with grains from Port Dundas and Loch Lomond. 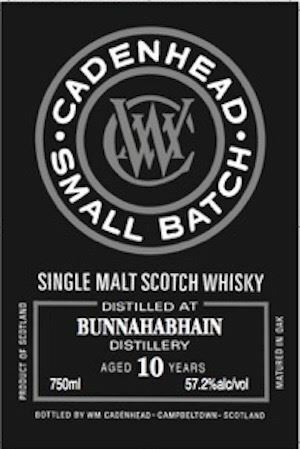 Batch 13 23/10/2015 An aged Cally grain, a Dailuaine and two Caol Ilas, a Glenmorangie and a Compass Box blended malt.